The M25, hate it or love it, celebrates an Essex birthday today. 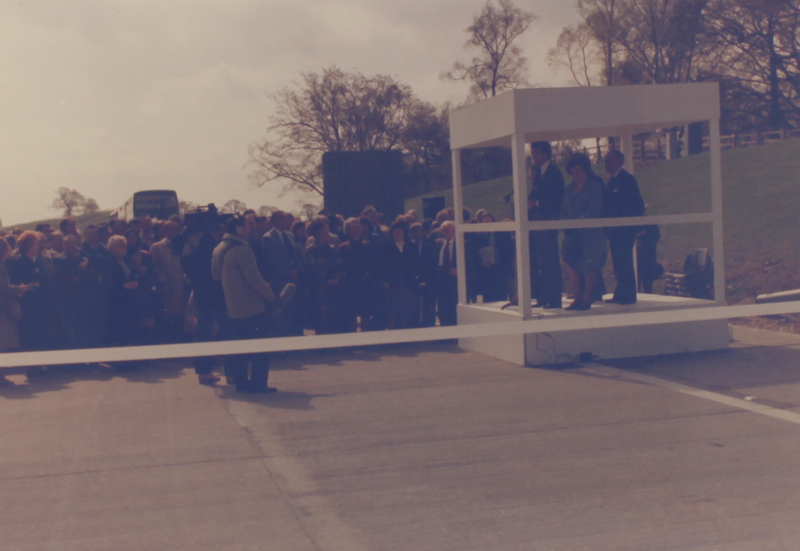 After being first proposed in the 1960s, the section which runs from Potters Bar to the Dartford tunnel (The Queen Elizabeth II Bridge not opening until the early 1990s) was finally opened on 22 April 1983 by David Howell, the then Transport minister, and a bevy of special guests, VIPs and celebrities. As part of the opening many of the invited guests were able to take their first ride on the new three lane motorway courtesy of The Eastern National Omnibus Company. 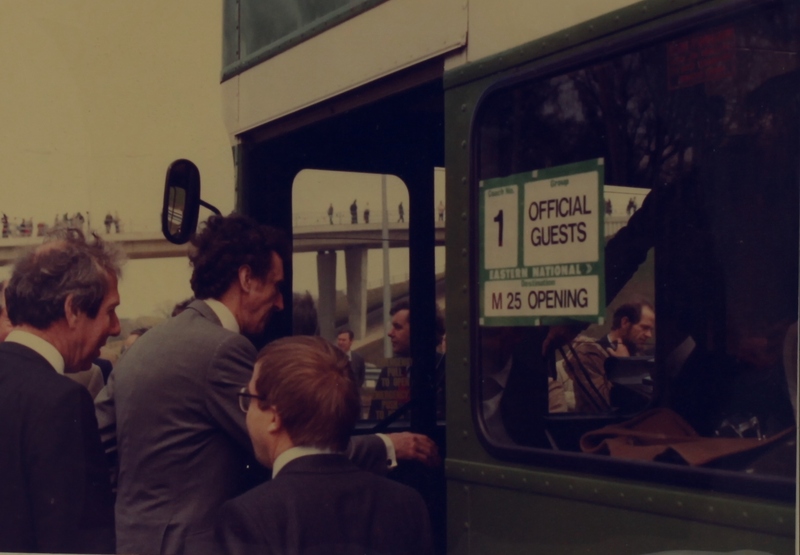 Thanks to that Company we have a small collection of photographs celebrating the event, prominently featuring many of their green liveried buses. 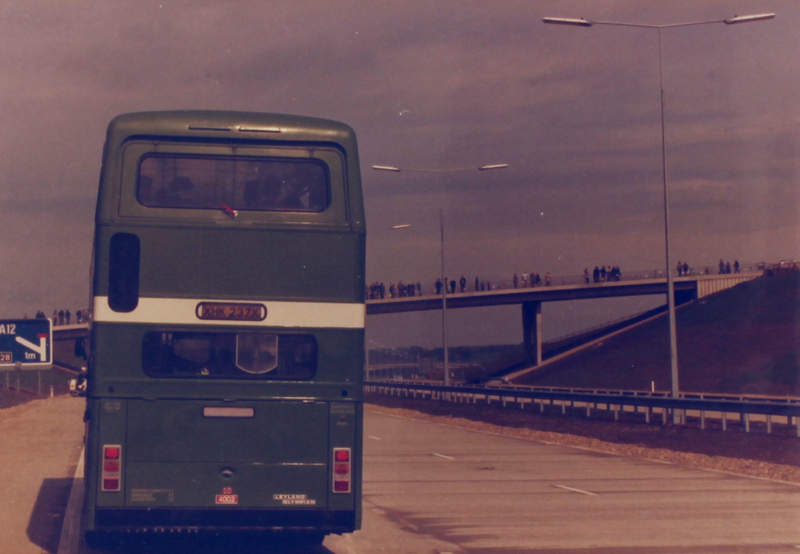 The M25 was opened in sections between 1973 and 1986, and work on alterations and improvements has continued ever since.